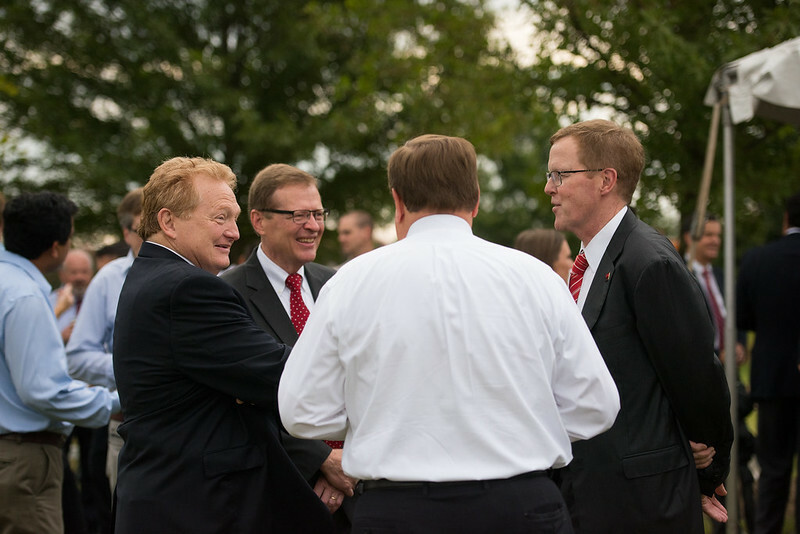 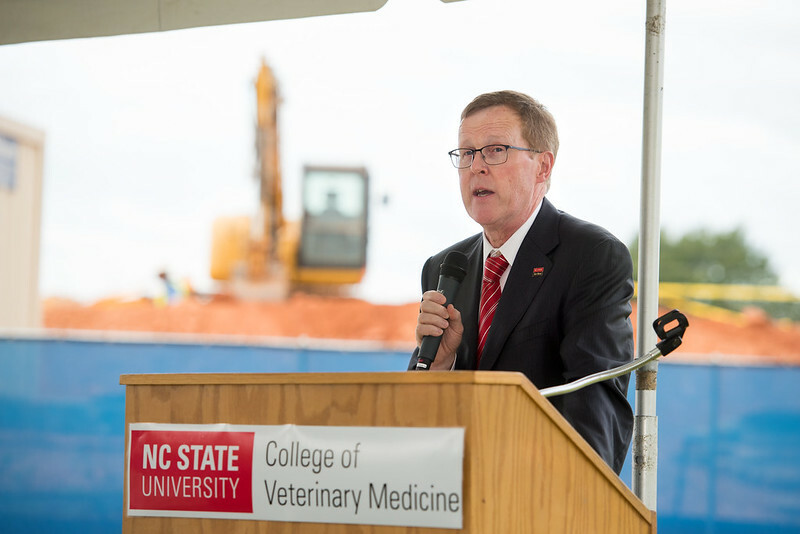 Dignitaries from across the North Carolina State University campus, the NC State College of Veterinary Medicine (CVM) and private industry gathered on an overcast Friday morning August 19 on the CVM campus to formally kick off construction of the new 44,500-square foot Biomedical Partnership Center (BPC). 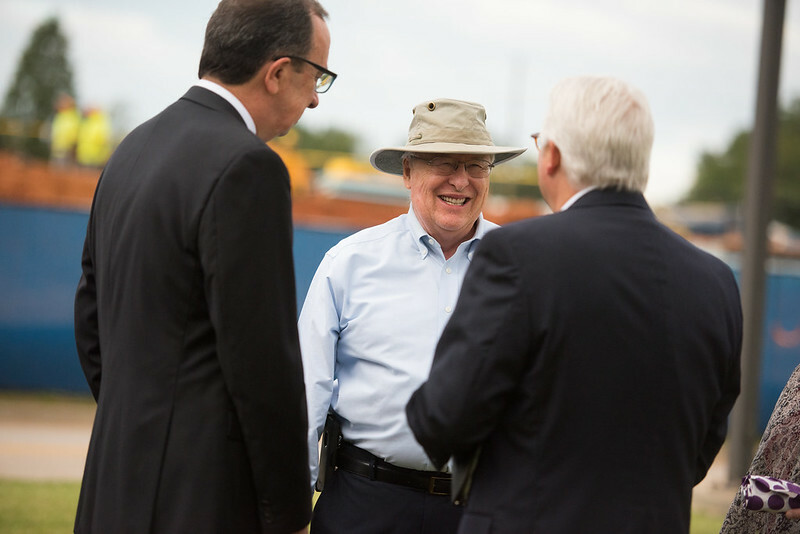 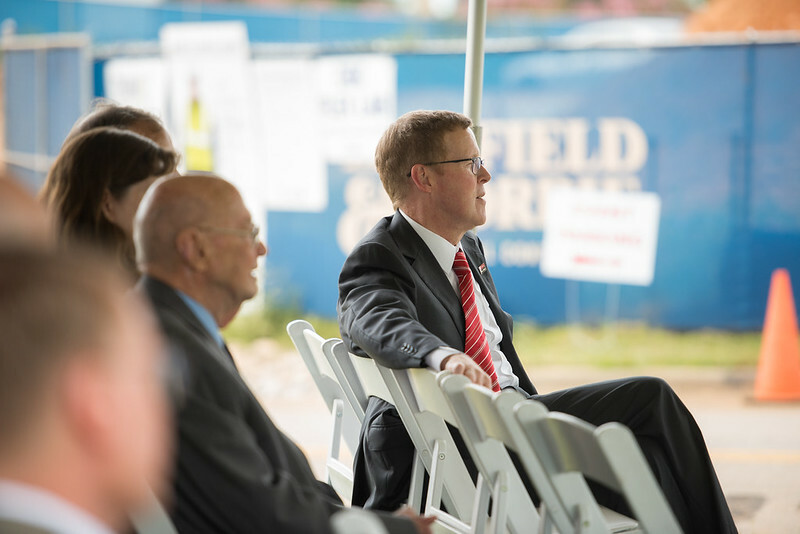 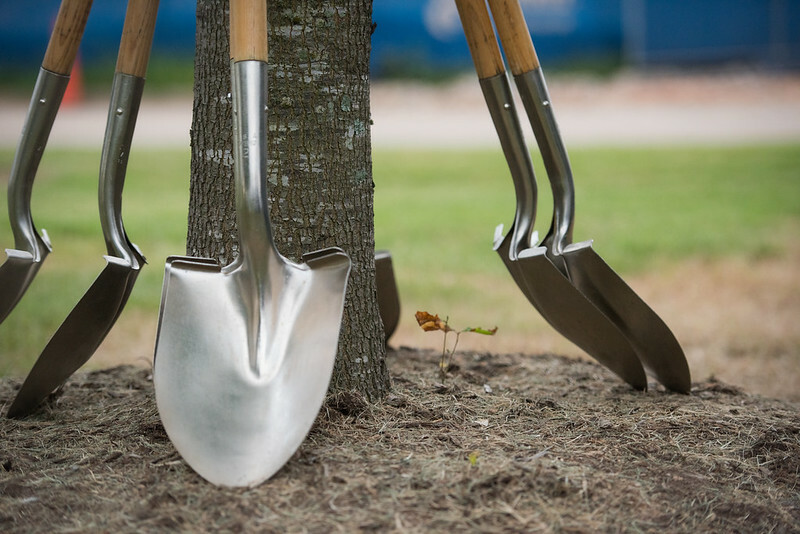 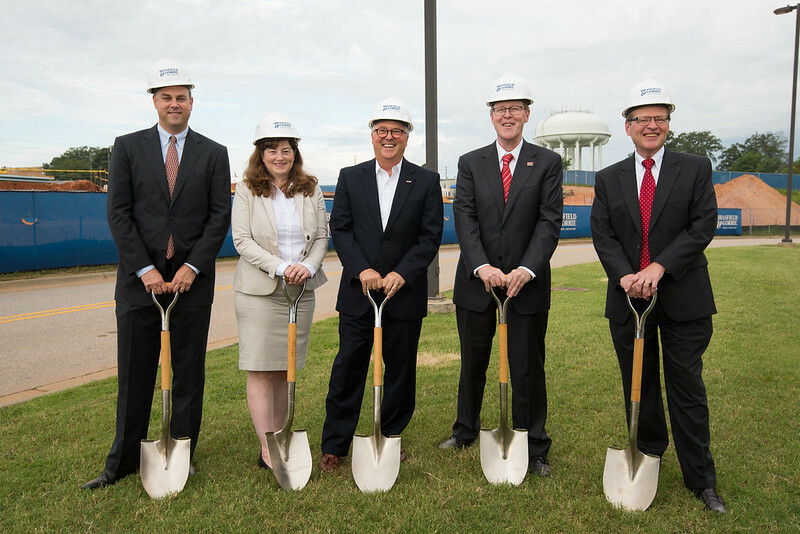 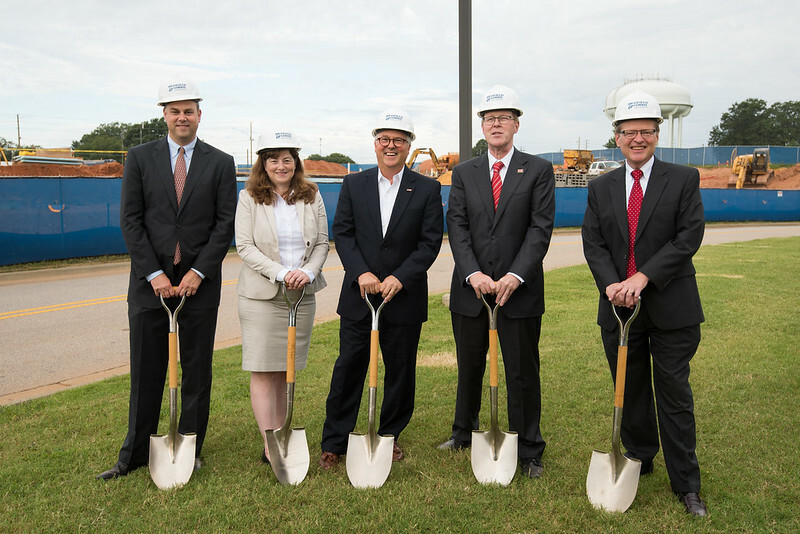 The structure will be the first public-private partnership building in the development of the Centennial Biomedical Campus. 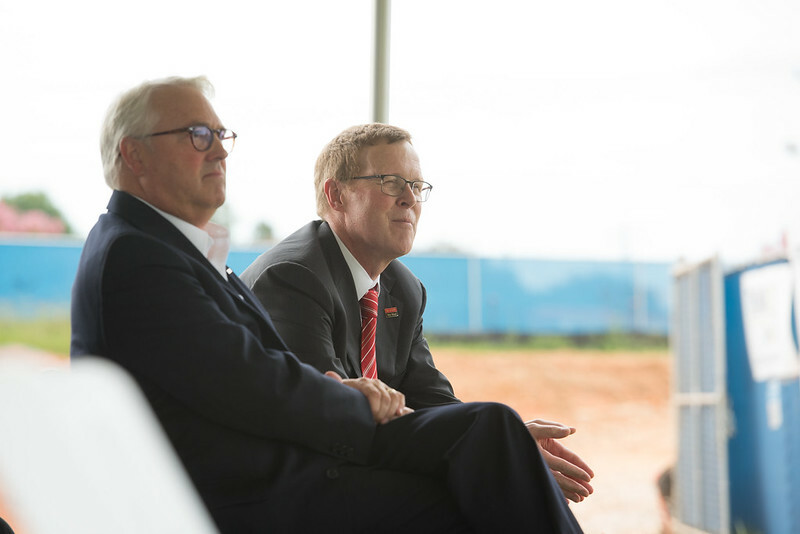 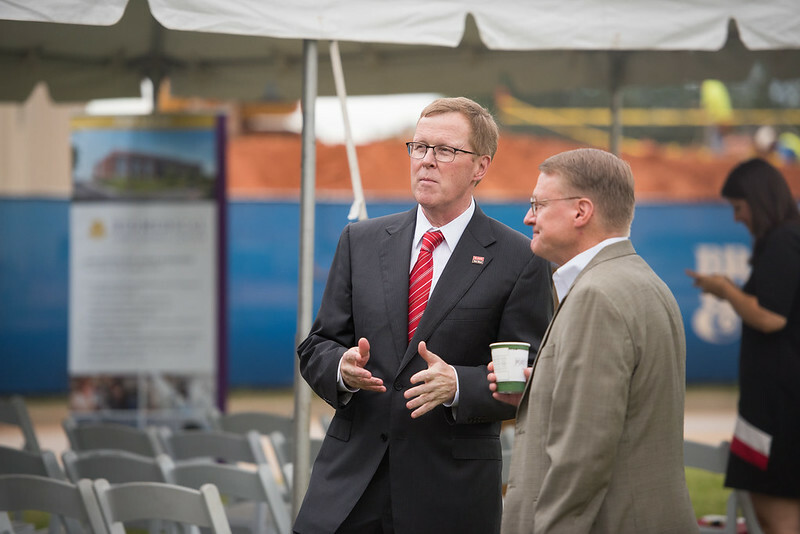 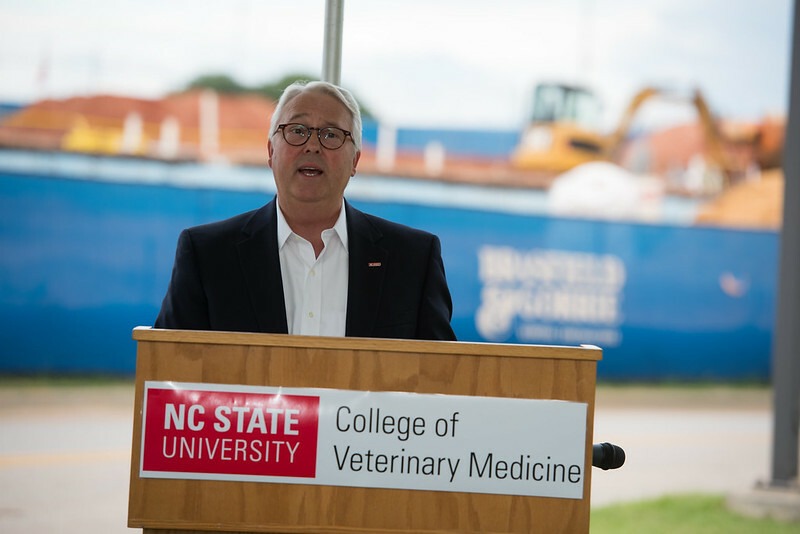 When completed in 2017, the two-story facility will include space for CVM research activities and provide an outstanding platform for industry and government researchers, entrepreneurs, clinical trial companies, as well as biomedical investigators across NC State, to work side by side with CVM faculty and students. 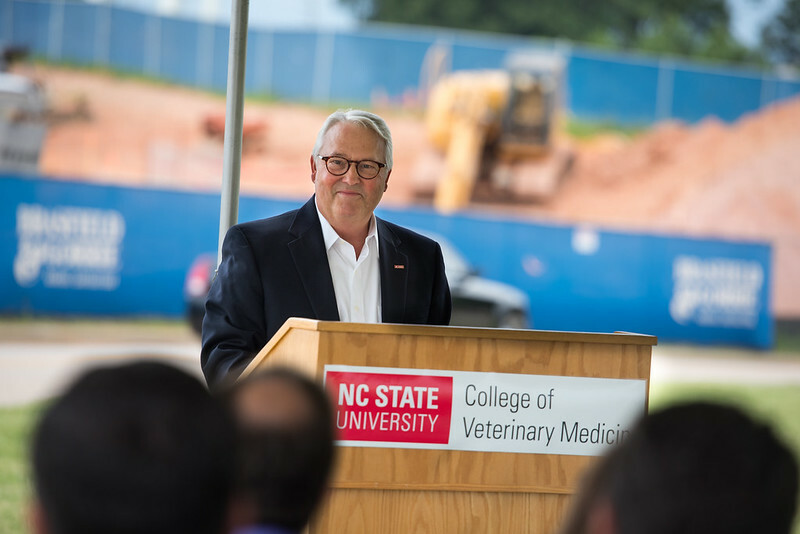 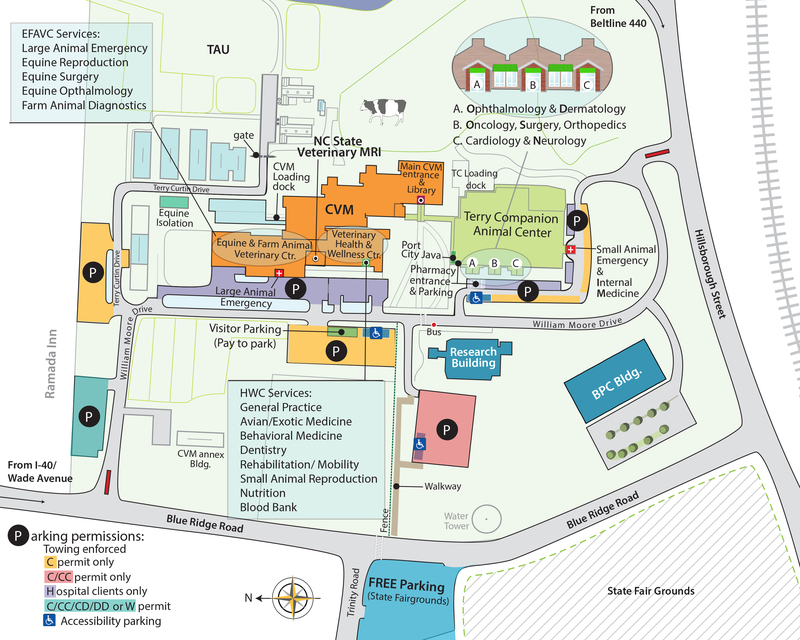 Anchored by the College of Veterinary Medicine, the 250-acre Centennial Biomedical Campus is an extension of NC State’s Centennial Campus. 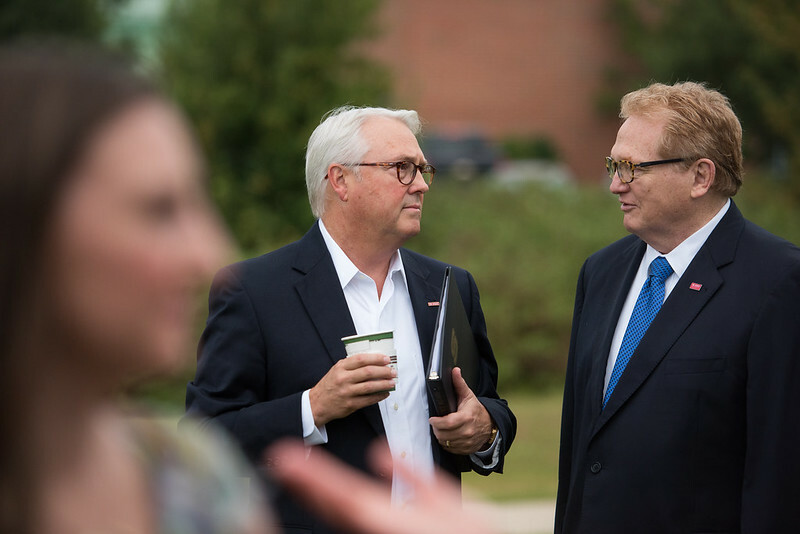 The Centennial Campus approach has created an effective model for developing a mixed use environment by combining private lab and office space with academic, residential, and recreational opportunities. 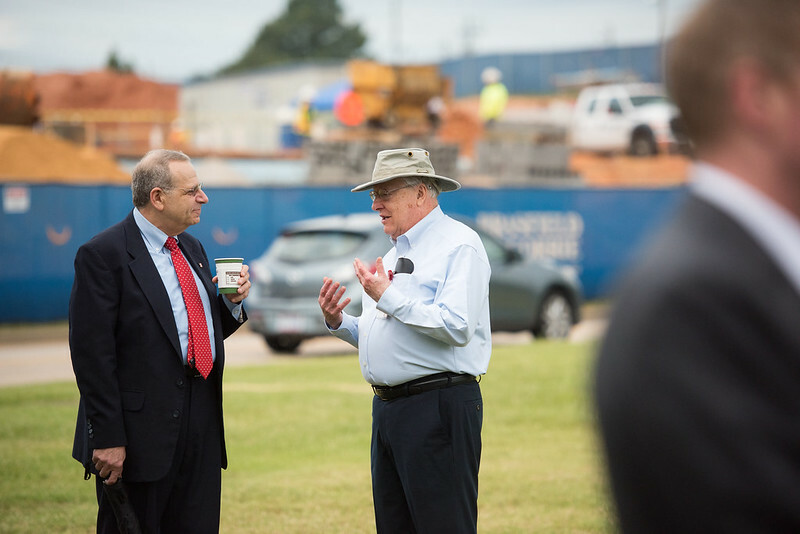 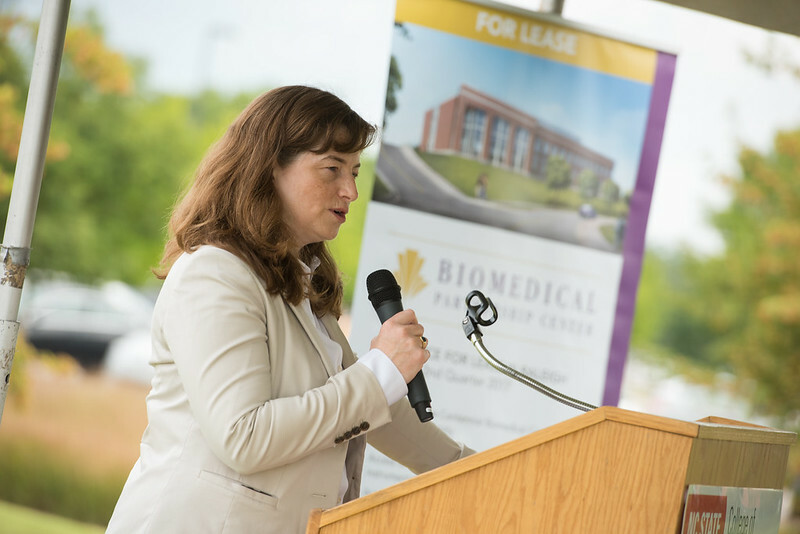 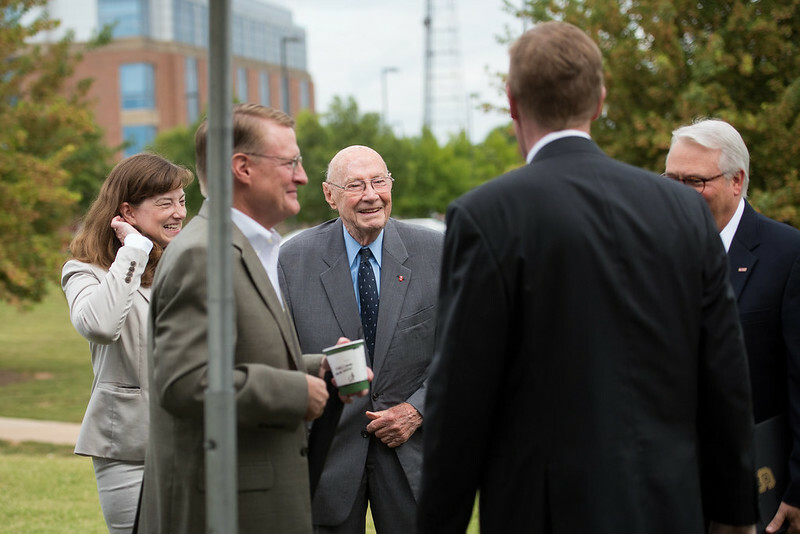 The Centennial Biomedical Campus builds on this successful model by emphasizing research collaborations that bring together academia, government and industry. 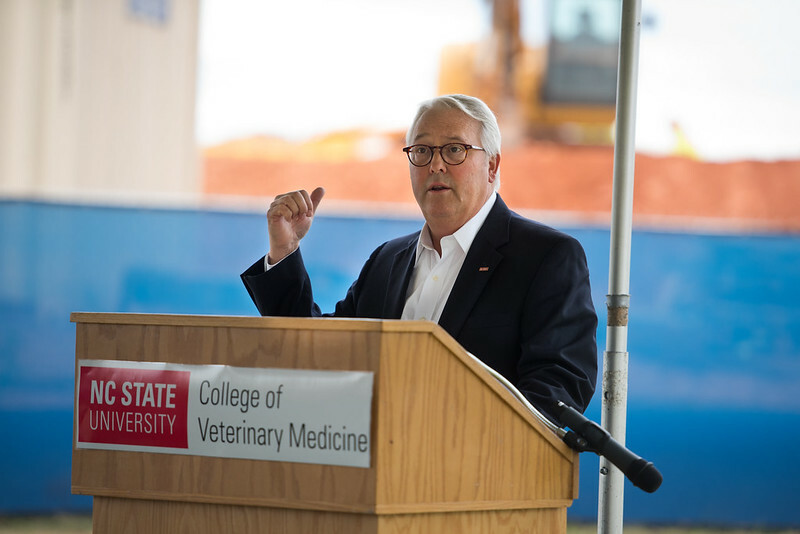 Associate Dean for Research and Graduate Studies Kate Meurs pointed out how far the College of Veterinary Medicine has come in its brief history, noting it was appropriate that “this event occurs on the College’s Research day, named Litwack Day after Dr. Martin Litwack. 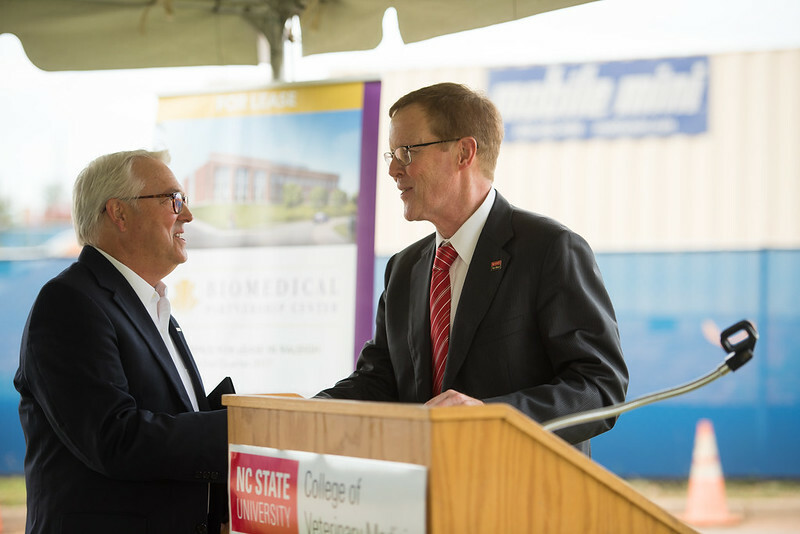 Dr. Litwack was a Raleigh veterinarian who believed in the important contributions that Biomedical Research would make to the state of North Carolina,” adding that he believed “a veterinary college could play a critical role in comparative biomedical research.” Dr. Litwack played a key role in the founding of the College, along with the College’s first dean, Terry Curtin, who was also in attendance. 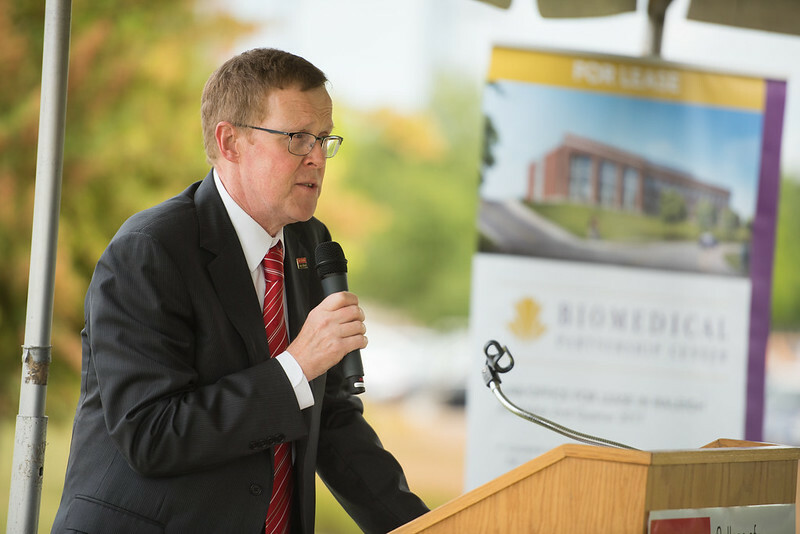 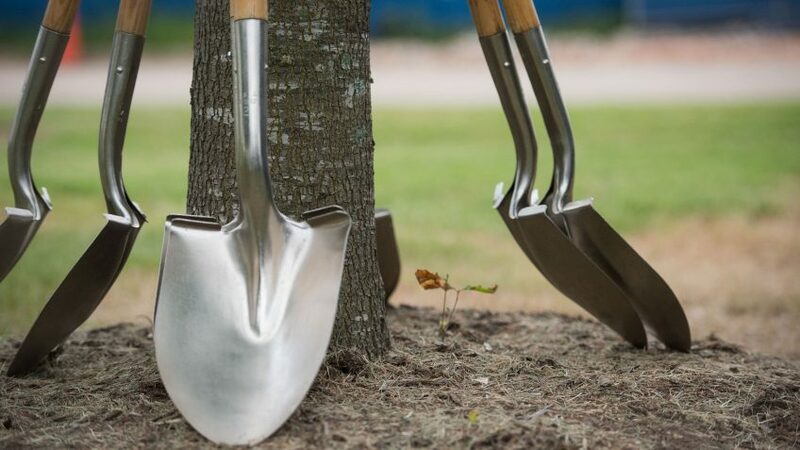 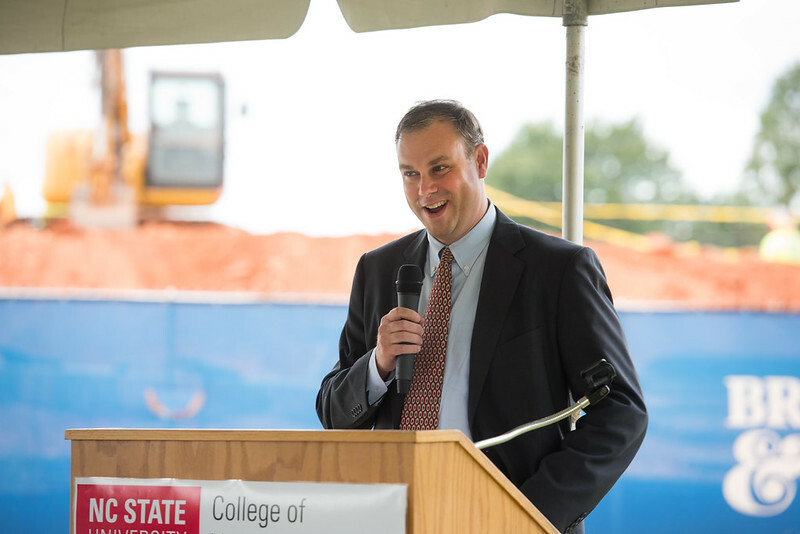 Capital Associates, a commercial real estate development and brokerage firm based in Raleigh, and partners in the development of the BPC, have previously worked on Venture Center and The Greens Apartments at Centennial Campus, among other projects at NC State.